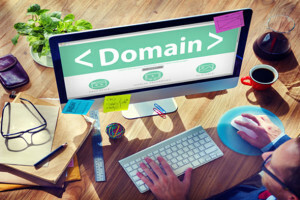 While most people are aware of the importance of a domain name to access a particular web site, most people are unaware of just how important a fully qualified domain name is or why having one helps enable the internet to function as we know it. In the mid to late 1980’s when the internet was still in its infancy there were several protocols put into place by the Internet Engineering Task Force (IETF) that would provide uniformity to the internet as it grew. These protocols have allowed the internet to be scaleable and grow at the phenomenonally rapid rate it has. One of the most important of these protocols was the establishment and implementation of the domain name system. The domain name system provides a way for every entity that is connected to the Internet such as a computer, web server and any other resource to have its own unique identification and place in the Internet framework. At its core these identifications are all numeric not character based. Domain names as most people think of them were brought into existence in order to make it easier on people to remember and keep track of. One key element of the Domain Name System is to translate domain name into the required numeric identities. While the domain name system is hierarchial in nature if it were put into illustrative form it would look very similar to a diagram of a family tree. Much like you have a specific place on your own family tree every fully qualified domain name has its own particular place in the domain name system hierarchy as well. A fully qualified domain name specifies exactly where it is in the domain hierarchy. It is complete and total in nature. No other domain name can have its exact same location. Much like there is only one ‘you’ and you can only be in one place, there is only one fully qualified domain name for every domain level and it can only be in one place also. Every domain name in the domain name system contains certain information for every domain level. While that information appears in the same place in the system for every domain name, the location of each of the domain names are all different which makes the fully qualified domain name different as well. The format of a fully qualified domain name is always the same. This helps the domain name system determine where the domain name is within the hierarchy. The three requirements needed for a fully qualified domain name are the zone file, top level domain and root zone. For example, the fully qualified domain name for gmail’s pop mail is pop.gmail.com. Take note of the dot on the end. That is not a typo. All fully qualified domain names have what is known as a trailing dot on the end. This goes to what seems to be an empty label but is in fact an unnamed DNS root zone. To put this into human terms, let’s revisit the family tree example from above. You know that every person on your family tree is a human being so it isn’t necessary to put human being after every person’s name. This is the same for fully qualified domain names. The DNS root zone is the root zone for what most people refer to as the Internet. As such there isn’t any reason to write out “Internet” at the end of every domain name. Every domain name in the Domain Name System has the same root zone so it isn’t necessary to write it out each time. So what about the trailing dot? If a trailing dot makes a fully qualified domain name ‘official’ why don’t we see it used more often? The reason is simple. Ease of use. In most cases the systems which require fully qualified domain names have been set up so that the trailing dot isn’t required. Instead, the trailing dot is implied even if it isn’t written out. For example, we don’t need to enter a trailing dot after we enter a domain name into a web browser although in most major browsers we can add it if we want to. The DNS system does that automatically for us. It knows where to go to find information about the domain name we want to access without us having to type the period at the end.